I’ll admit, when I started working my tail off to cut back our grocery bill, shopping at Aldi was the farthest thing from my mind. We had one, and to me, it was that weird store I stopped at once with some college friends as we drove down to Florida for spring break. It was cramped, and the food selection didn’t appeal to me. So rather than taking the advice of numerous frugal shoppers, I decided I’d do better if I skipped shopping at Aldi. 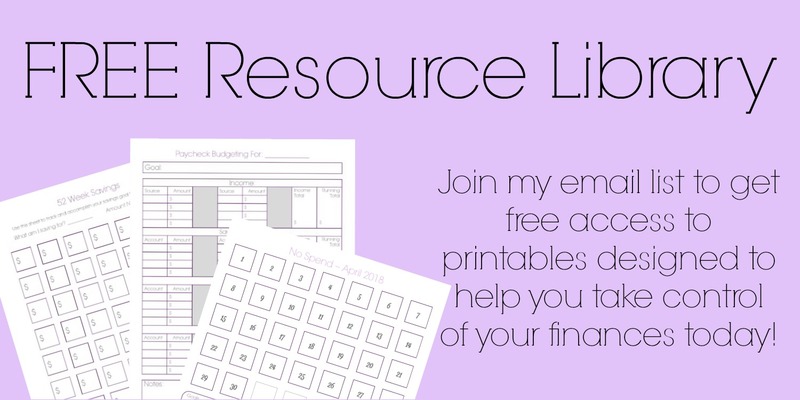 I was successful in reducing our grocery bill in half by creating a monthly meal plan, shopping sales, and couponing occasionally. Then life caught up, and I simply didn’t have the time to keep shopping sales, let alone stopping at 4 or 5 different stores when we were out. So I simplified it down to a few stores that gave us the best bang for our buck. For my area, that’s Target and Wegmans. 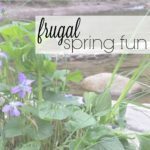 It wasn’t long before I noticed our weekly budget wasn’t getting us as far. So I decided to try Aldi’s. My first (or should I say second) left much to be desired. I was used to shopping in stores where everything was clearly displayed, more space to the store, etc. But I couldn’t help but notice some of the prices were just too good to be true! Slowly over the last year, I’ve slowly implemented Aldi into our shopping routine. There are some things that I will get no where else, simply because the value is incredible, and there is no difference in taste for us. But there are also some things I won’t get at Aldi. Believe it or not, bread is what sucked me in to Aldi. I love making homemade bread. But at the rate we go through bread, buying bread is simply a time saver. We prefer Italian bread in this house, and the Italian bread at Aldi’s is half the price of the brands I can buy at other stores. I can a lot of our own veggies at home, but some things – like peas and corn – I don’t can at home. I cannot grow the quantity needed, and I don’t want to deal with prepping it all for canning. So for some veggies, buying them canned is worth it to us. Spices were another item that brought me in to Aldi. I do freeze and dehydrate a lot of herbs throughout the summer, but there are some spices – like paprika, onion powder, cumin, etc – that I have a hard time growing and making from scratch. 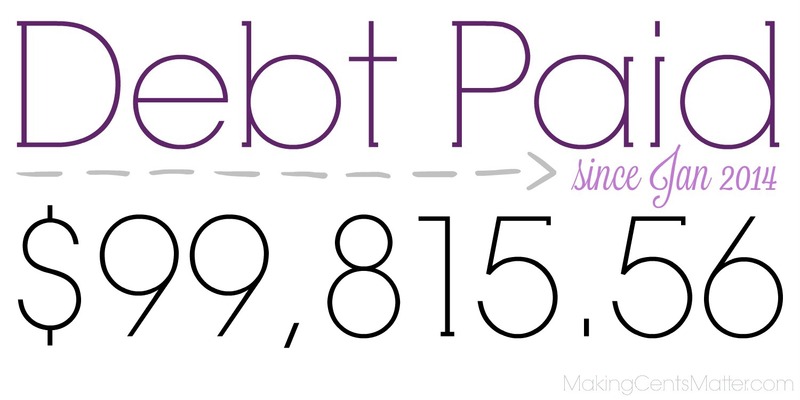 Buying the name brand at stores gets quite expensive! But for $0.95 I can get spices at Aldi! Soft flour tortillas for tacos and quesadillas are a hit in this house, and so are their tortilla chips for nachos. Both are at a very reasonable cost, at about $1 each, and help free up room for other items in our grocery budget. This one is a bit touchy. I’ve had excellent results with buying fresh produce at Aldi, and I’ve had some that have turned on me really fast. 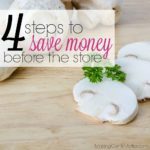 If you’re buying produce from Aldi, be sure to get produce that’s on sale, and don’t forget to use it! When you do get produce at Aldi, it’s a fantastic price! Strawberries are routinely on sale for $1.40 per pound, grapes for $1.19 per pound, and bananas for $0.38 per pound. 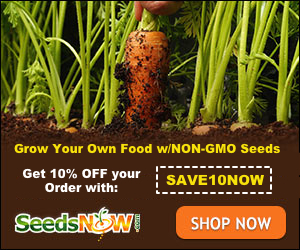 As long as you watch the per pound prices, you can get consistently awesome deals! We love sparkling water in this house. Nothing like the carbonation to make the kids think they’re drinking something other than water. Bonus points because their sparkling water isn’t filled with flavorings and sugar! Cooking oils are those pantry items you rarely think about until their gone. At least that’s how it is in my house. I don’t think about having more avocado oil on hand until I’m holding the bottle upside-down over the skillet wondering where it all went! When I shop for cooking oils at Aldi, my wallet is happy at the prices – sometimes over half what I’m spending elsewhere! – and their Simply Nature line is organic, ensuring me that the quality is superb at a very reasonable price. Snacks are the bane of my mom-life. Now, I need to be clear that I do have strict (compared to some) rules on what constitutes as a snack in this house. Simply put, things like chips and gummies simply aren’t it. In this house, they’re treats. Snacks are things like fruit, crackers, nuts, trail mix, dried fruit, etc. 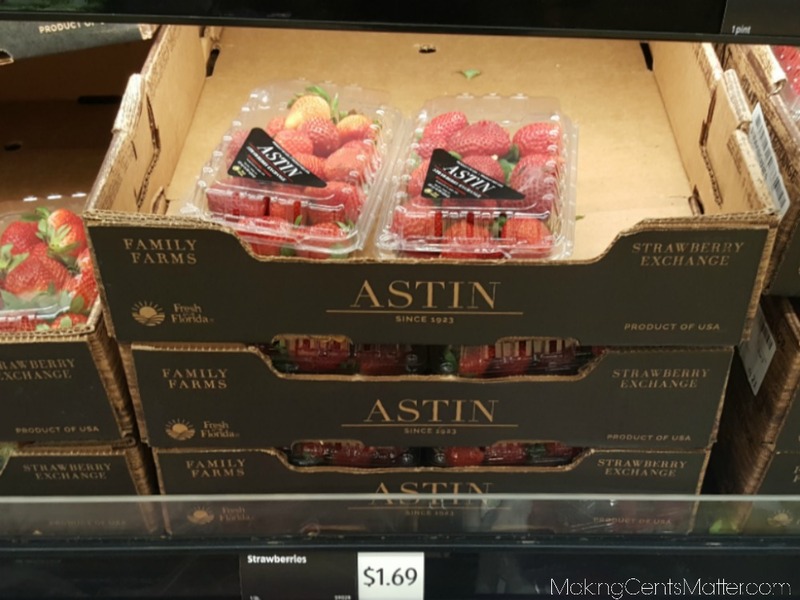 Now I’ve already covered produce above, but for the remainder of the snacks I mentioned, Aldi has a nice selection at an incredibly reasonable price. And most of the items I’ve found are grown here in the United States, which is an even bigger plus! Since I clarified what I call snacks vs. treats, this one should be a no brainer. Things like packs of gummies, chocolates, and cookies, are all things that I get as treats, and then divvy them out into single servings for packing in lunch boxes. Some things, like their Dino & Shark gummies, are already in individual servings, so I don’t need to divvy them out further. The most avid Aldi shoppers will tell you that it’s where you must buy your milk since it frequently goes on sale for $0.99 a gallon! But the truth is, I live in Pennsylvania, and prices of some items are regulated here. Like milk. So milk is not something I buy at Aldi. That aside, we also drink lactose free milk – except Lady Bug who drinks almond milk. Until very recently, my Aldi didn’t even carry lactose free milk, and they still don’t carry almond milk. So they were two items I get elsewhere. 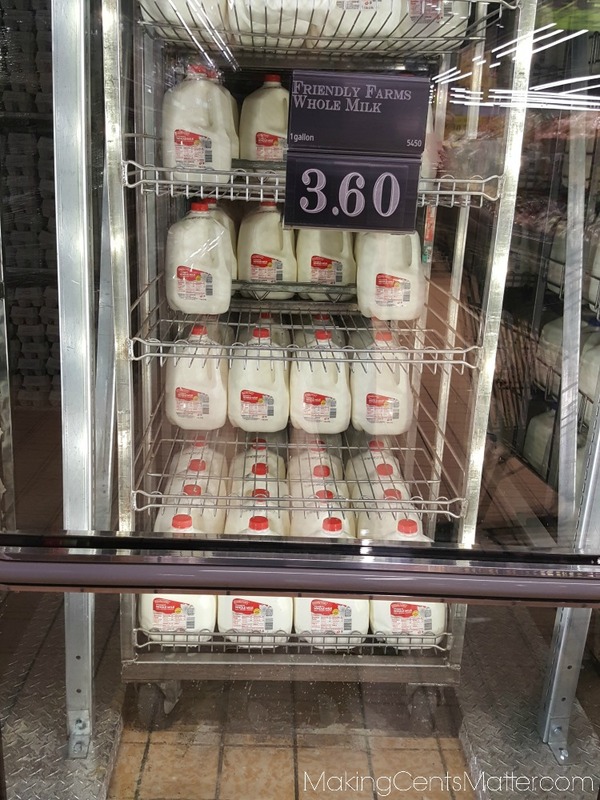 Now that my local Aldi does carry lactose free milk, their price is comparable to most local stores, but it’s still more expensive than what I can get it for at Wegmans, which is right down the road. Meat I don’t buy at Aldi for two reasons. First is that I can’t find any family packs at my Aldi. So I would end up buying more packages of meat than I really care to. Second, their prices are comparable to elsewhere. There’s no major savings on meats at my Aldi. Since I’m buying our dairy items at a different store, I buy meat there too. Get all the refrigerated items one place at one time. Pretzels, sad to say, are one of very few items we’ve come across that don’t quite meet our family’s standards for pretzels. Don’t take that as a knock on their pretzels. It’s just there is one brand – and only one brand – of pretzels we prefer. Unlike pretzels, flour comes down entirely to personal preference. Our Aldi only carries bleached all-purpose flour, and that’s not the flour I prefer to cook with. So I do get our flour at Target, where I can get the type we prefer and use their Cartwheel discount on it as well. Keep in mind that with these items, as with anything, it’s all down to personal preference. 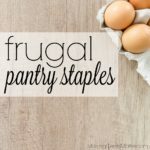 When I buy even just these items at Aldi vs our local grocery stores, I am saving us money. 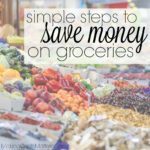 And money saved helps stretch our grocery budget out in the long run! 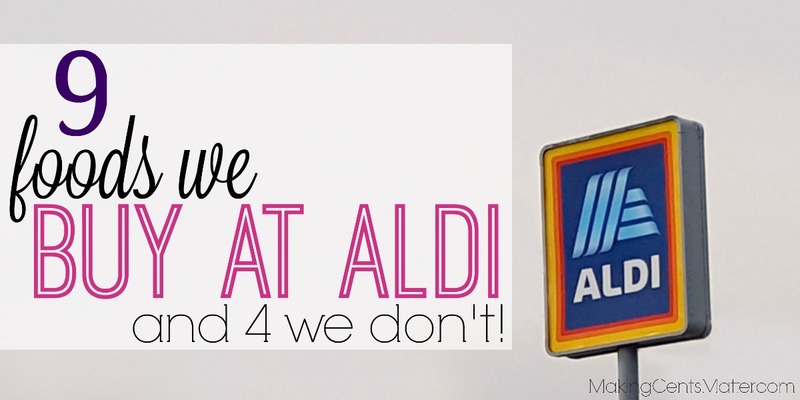 So if you have an Aldi local to you, and you’ve been hesitant like I was, give them a try. 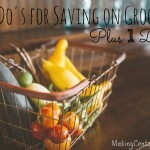 You never know what few items you’ll find that can help with larger savings down the road! 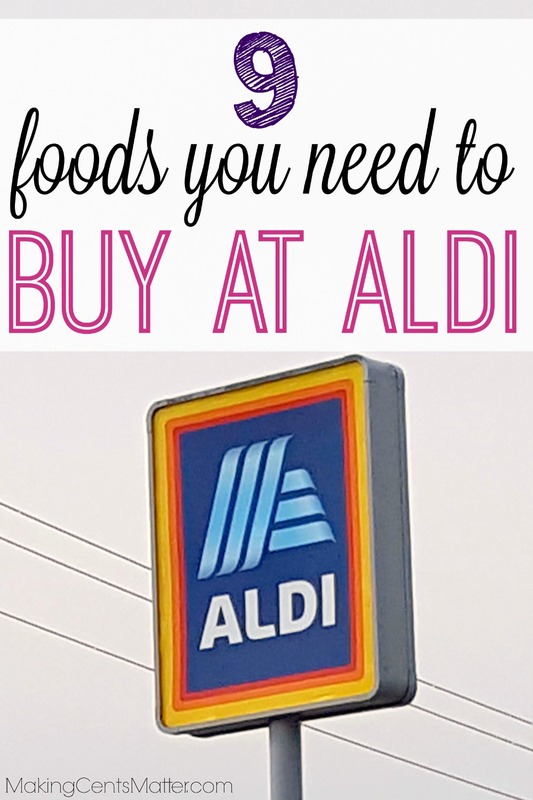 What are your must buys at Aldi? Let me know in the comments below!